A history of mental illness from the Stone Age to the 20th century. References to mental illness can be found throughout history. The evolution of mental illness, however, has not been linear or progressive but rather cyclical. Whether a behavior is considered normal or abnormal depends on the context surrounding the behavior and thus changes as a function of a particular time and culture. In the past, uncommon behavior or behavior that deviated from the sociocultural norms and expectations of a specific culture and period has been used as a way to silence or control certain individuals or groups. As a result, a less cultural relativist view of abnormal behavior has focused instead on whether behavior poses a threat to oneself or others or causes so much pain and suffering that it interferes with one’s work responsibilities or with one’s relationships with family and friends. Throughout history there have been three general theories of the etiology of mental illness:supernatural, somatogenic, and psychogenic. Supernatural theories attribute mental illness to possession by evil or demonic spirits, displeasure of gods, eclipses, planetary gravitation, curses, and sin. Somatogenic theories identify disturbances in physical functioning resulting from either illness, genetic inheritance, or brain damage or imbalance. Psychogenic theories focus on traumatic or stressful experiences, maladaptive learned associations and cognitions, or distorted perceptions. Etiological theories of mental illness determine the care and treatment mentally ill individuals receive. As we will see below, an individual believed to be possessed by the devil will be viewed and treated differently from an individual believed to be suffering from an excess of yellow bile. Their treatments will also differ, from exorcism to blood-letting. The theories, however, remain the same. They coexist as well as recycle over time. 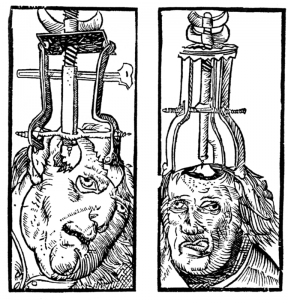 Trephination is an example of the earliest supernatural explanation for mental illness. Examination of prehistoric skulls and cave art from as early as 6500 BC has identified surgical drilling of holes in skulls to treat head injuries and epilepsy as well as to allow evil spirits trapped within the skull to be released (Restak, 2000). Around 2700 BC, Chinese medicine’s concept of complementary positive and negative bodily forces (“yin and yang”) attributed mental (and physical) illness to an imbalance between these forces. As such, a harmonious life that allowed for the proper balance of yin and yang and movement of vital air was essential (Tseng, 1973). Mesopotamian and Egyptian papyri from 1900 BC describe women suffering from mental illness resulting from a wandering uterus (later named hysteria by the Greeks): The uterus could become dislodged and attached to parts of the body like the liver or chest cavity, preventing their proper functioning or producing varied and sometimes painful symptoms. As a result, the Egyptians, and later the Greeks, also employed a somatogenic treatment of strong smelling substances to guide the uterus back to its proper location (pleasant odors to lure and unpleasant ones to dispel). Throughout classical antiquity we see a return to supernatural theories of demonic possession or godly displeasure to account for abnormal behavior that was beyond the person’s control. Temple attendance with religious healing ceremonies and incantations to the gods were employed to assist in the healing process. Hebrews saw madness as punishment from God, so treatment consisted of confessing sins and repenting. Physicians were also believed to be able to comfort and cure madness, however. Greek physicians rejected supernatural explanations of mental disorders. It was around 400 BC that Hippocrates (460–370 BC) attempted to separate superstition and religion from medicine by systematizing the belief that a deficiency in or especially an excess of one of the four essential bodily fluids (i.e., humors)—blood, yellow bile, black bile, and phlegm—was responsible for physical and mental illness. For example, someone who was too temperamental suffered from too much blood and thus blood-letting would be the necessary treatment. 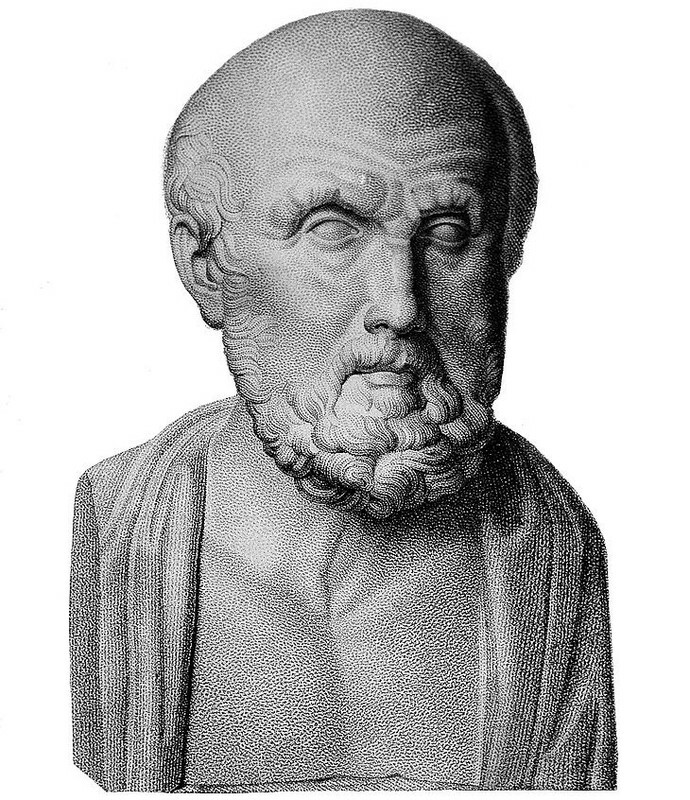 Hippocrates classified mental illness into one of four categories—epilepsy, mania, melancholia, and brain fever—and like other prominent physicians and philosophers of his time, he did not believe mental illness was shameful or that mentally ill individuals should be held accountable for their behavior. Mentally ill individuals were cared for at home by family members and the state shared no responsibility for their care. Humorism remained a recurrent somatogenic theory up until the 19th century. While Greek physician Galen (AD 130–201) rejected the notion of a uterus having an animistic soul, he agreed with the notion that an imbalance of the four bodily fluids could cause mental illness. He also opened the door for psychogenic explanations for mental illness, however, by allowing for the experience of psychological stress as a potential cause of abnormality. Galen’s psychogenic theories were ignored for centuries, however, as physicians attributed mental illness to physical causes throughout most of the millennium. By the late Middle Ages, economic and political turmoil threatened the power of the Roman Catholic church. Between the 11th and 15th centuries, supernatural theories of mental disorders again dominated Europe, fueled by natural disasters like plagues and famines that lay people interpreted as brought about by the devil. Superstition, astrology, and alchemy took hold, and common treatments included prayer rites, relic touching, confessions, and atonement. Beginning in the 13th century the mentally ill, especially women, began to be persecuted as witches who were possessed. At the height of the witch hunts during the 15th through 17th centuries, with the Protestant Reformation having plunged Europe into religious strife, two Dominican monks wrote the Malleus Maleficarum (1486) as the ultimate manual to guide witch hunts. 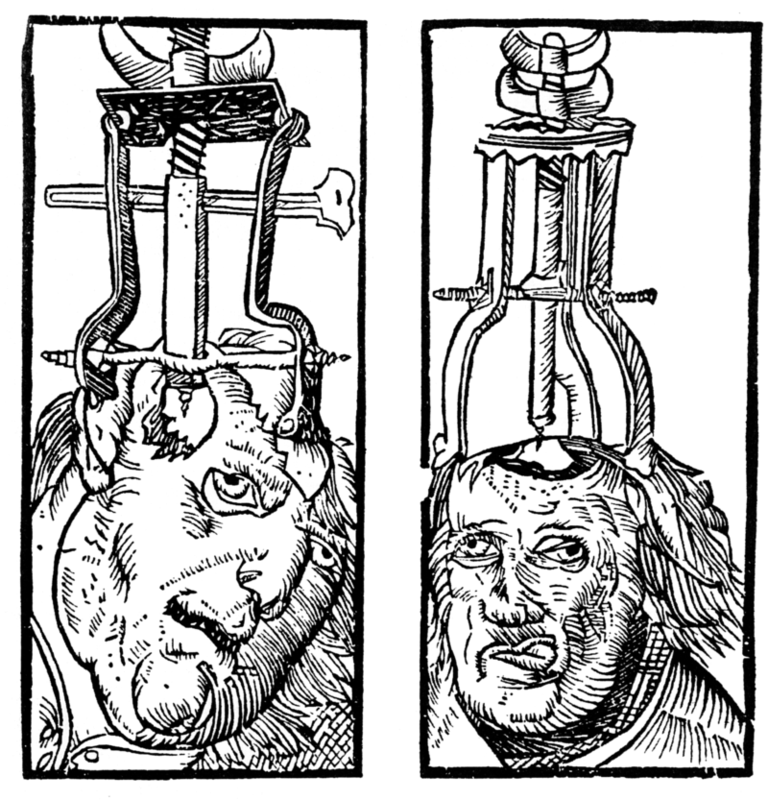 Johann Weyer and Reginald Scot tried to convince people in the mid- to late-16th century that accused witches were actually women with mental illnesses and that mental illness was not due to demonic possession but to faulty metabolism and disease, but the Church’s Inquisition banned both of their writings. Witch-hunting did not decline until the 17th and 18th centuries, after more than 100,000 presumed witches had been burned at the stake (Schoeneman, 1977; Zilboorg & Henry, 1941). Modern treatments of mental illness are most associated with the establishment of hospitals and asylums beginning in the 16th century. Such institutions’ mission was to house and confine the mentally ill, the poor, the homeless, the unemployed, and the criminal. War and economic depression produced vast numbers of undesirables and these were separated from society and sent to these institutions. Two of the most well-known institutions, St. Mary of Bethlehem in London, known as Bedlam, and the Hôpital Général of Paris—which included La Salpêtrière, La Pitié, and La Bicêtre—began housing mentally ill patients in the mid-16th and 17th centuries. As confinement laws focused on protecting the public from the mentally ill, governments became responsible for housing and feeding undesirables in exchange for their personal liberty. Most inmates were institutionalized against their will, lived in filth and chained to walls, and were commonly exhibited to the public for a fee. Mental illness was nonetheless viewed somatogenically, so treatments were similar to those for physical illnesses: purges, bleedings, and emetics. While inhumane by today’s standards, the view of insanity at the time likened the mentally ill to animals (i.e., animalism) who did not have the capacity to reason, could not control themselves, were capable of violence without provocation, did not have the same physical sensitivity to pain or temperature, and could live in miserable conditions without complaint. As such, instilling fear was believed to be the best way to restore a disordered mind to reason. 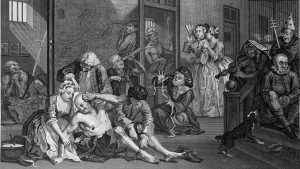 By the 18th century, protests rose over the conditions under which the mentally ill lived, and the 18th and 19th centuries saw the growth of a more humanitarian view of mental illness. In 1785 Italian physician Vincenzo Chiarughi (1759–1820) removed the chains of patients at his St. Boniface hospital in Florence, Italy, and encouraged good hygiene and recreational and occupational training. More well known, French physician Philippe Pinel (1745–1826) and former patient Jean-Baptise Pussin created a “traitement moral” at La Bicêtre and the Salpêtrière in 1793 and 1795 that also included unshackling patients, moving them to well-aired, well-lit rooms, and encouraging purposeful activity and freedom to move about the grounds (Micale, 1985). In England, humanitarian reforms rose from religious concerns. William Tuke (1732–1822) urged the Yorkshire Society of (Quaker) Friends to establish the York Retreat in 1796, where patients were guests, not prisoners, and where the standard of care depended on dignity and courtesy as well as the therapeutic and moral value of physical work (Bell, 1980). While America had asylums for the mentally ill—such as the Pennsylvania Hospital in Philadelphia and the Williamsburg Hospital, established in 1756 and 1773—the somatogenic theory of mental illness of the time—promoted especially by the father of America psychiatry, Benjamin Rush (1745–1813)—had led to treatments such as blood-letting, gyrators, and tranquilizer chairs. When Tuke’s York Retreat became the model for half of the new private asylums established in the United States, however, psychogenic treatments such as compassionate care and physical labor became the hallmarks of the new American asylums, such as the Friends Asylum in Frankford, Pennsylvania, and the Bloomingdale Asylum in New York City, established in 1817 and 1821 (Grob, 1994). Moral treatment had to be abandoned in America in the second half of the 19th century, however, when these asylums became overcrowded and custodial in nature and could no longer provide the space nor attention necessary. When retired school teacher Dorothea Dix discovered the negligence that resulted from such conditions, she advocated for the establishment of state hospitals. Between 1840 and1880, she helped establish over 30 mental institutions in the United States and Canada (Viney & Zorich, 1982). By the late 19th century, moral treatment had given way to the mental hygiene movement, founded by former patient Clifford Beers with the publication of his 1908 memoir A Mind That Found Itself. Riding on Pasteur’s breakthrough germ theory of the 1860s and 1870s and especially on the early 20th century discoveries of vaccines for cholera, syphilis, and typhus, the mental hygiene movement reverted to a somatogenic theory of mental illness. European psychiatry in the late 18th century and throughout the 19th century, however, struggled between somatogenic and psychogenic explanations of mental illness, particularly hysteria, which caused physical symptoms such as blindness or paralysis with no apparent physiological explanation. Franz Anton Mesmer (1734–1815), influenced by contemporary discoveries in electricity, attributed hysterical symptoms to imbalances in a universal magnetic fluid found in individuals, rather than to a wandering uterus (Forrest, 1999). James Braid (1795–1860) shifted this belief in mesmerism to one in hypnosis, thereby proposing a psychogenic treatment for the removal of symptoms. At the time, famed Salpetriere Hospital neurologist Jean-Martin Charcot (1825–1893), and Ambroise Auguste Liébault (1823–1904) and Hyppolyte Bernheim (1840–1919) of the Nancy School in France, were engaged in a bitter etiological battle over hysteria, with Charcot maintaining that the hypnotic suggestibility underlying hysteria was a neurological condition while Liébault and Bernheim believed it to be a general trait that varied in the population. Josef Breuer (1842–1925) and Sigmund Freud (1856–1939) would resolve this dispute in favor of a psychogenic explanation for mental illness by treating hysteria through hypnosis, which eventually led to the cathartic method that became the precursor for psychoanalysis during the first half of the 20th century. Psychoanalysis was the dominant psychogenic treatment for mental illness during the first half of the 20th century, providing the launching pad for the more than 400 different schools of psychotherapy found today (Magnavita, 2006). Most of these schools cluster around broader behavioral, cognitive, cognitive-behavioral, psychodynamic, and client-centered approaches to psychotherapy applied in individual, marital, family, or group formats. Negligible differences have been found among all these approaches, however; their efficacy in treating mental illness is due to factors shared among all of the approaches (not particular elements specific to each approach): the therapist-patient alliance, the therapist’s allegiance to the therapy, therapist competence, and placebo effects (Luborsky et al., 2002; Messer & Wampold, 2002). In contrast, the leading somatogenic treatment for mental illness can be found in the establishment of the first psychotropic medications in the mid-20th century. Restraints, electro-convulsive shock therapy, and lobotomies continued to be employed in American state institutions until the 1970s, but they quickly made way for a burgeoning pharmaceutical industry that has viewed and treated mental illness as a chemical imbalance in the brain. Both etiological theories coexist today in what the psychological discipline holds as the biopsychosocial model of explaining human behavior. While individuals may be born with a genetic predisposition for a certain psychological disorder, certain psychological stressors need to be present for them to develop the disorder. Sociocultural factors such as sociopolitical or economic unrest, poor living conditions, or problematic interpersonal relationships are also viewed as contributing factors. However much we want to believe that we are above the treatments described above, or that the present is always the most enlightened time, let us not forget that our thinking today continues to reflect the same underlying somatogenic and psychogenic theories of mental illness discussed throughout this cursory 9,000-year history. Progress in the treatment of mental illness necessarily implies improvements in the diagnosis of mental illness. A standardized diagnostic classification system with agreed-upon definitions of psychological disorders creates a shared language among mental-health providers and aids in clinical research. While diagnoses were recognized as far back as the Greeks, it was not until 1883 that German psychiatrist Emil Kräpelin (1856–1926) published a comprehensive system of psychological disorders that centered around a pattern of symptoms (i.e., syndrome) suggestive of an underlying physiological cause. 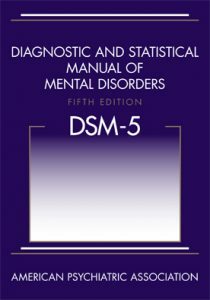 Other clinicians also suggested popular classification systems but the need for a single, shared system paved the way for the American Psychiatric Association’s 1952 publication of the first Diagnostic and Statistical Manual (DSM). The DSM has undergone various revisions (in 1968, 1980, 1987, 1994, 2000, 2013), and it is the 1980 DSM-III version that began a multiaxial classification system that took into account the entire individual rather than just the specific problem behavior. Axes I and II contain the clinical diagnoses, including mental retardation and personality disorders. Axes III and IV list any relevant medical conditions or psychosocial or environmental stressors, respectively. Axis V provides a global assessment of the individual’s level of functioning. The most recent version — the DSM-5– has combined the first three axes and removed the last two. These revisions reflect an attempt to help clinicians streamline diagnosis and work better with other diagnostic systems such as health diagnoses outlined by the World Health Organization. While the DSM has provided a necessary shared language for clinicians, aided in clinical research, and allowed clinicians to be reimbursed by insurance companies for their services, it is not without criticism. The DSM is based on clinical and research findings from Western culture, primarily the United States. It is also a medicalized categorical classification system that assumes disordered behavior does not differ in degree but in kind, as opposed to a dimensional classification system that would plot disordered behavior along a continuum. Finally, the number of diagnosable disorders has tripled since it was first published in 1952, so that almost half of Americans will have a diagnosable disorder in their lifetime, contributing to the continued concern of labeling and stigmatizing mentally ill individuals. These concerns appear to be relevant even in the DSM-5 version that came out in May of 2013. Bell, L. V. (1980). 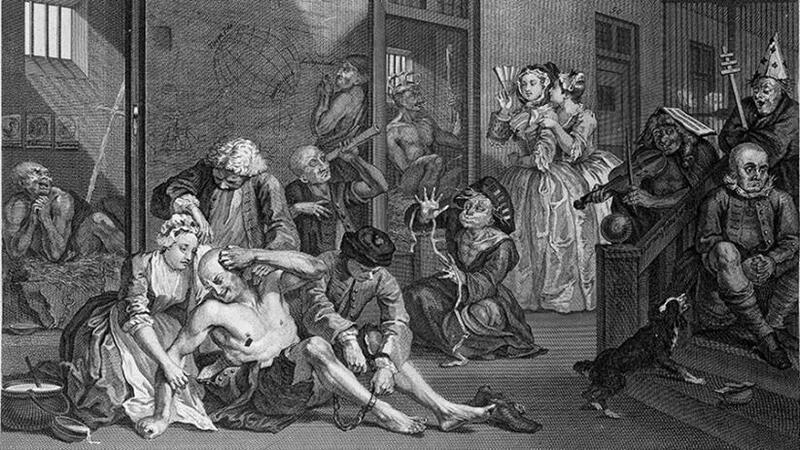 Treating the mentally ill: From colonial times to the present. New York: Praeger. Forrest, D. (1999). Hypnotism: A history. New York: Penguin. Grob, G. N. (1994). The mad among us: A history of the care of America’s mentally ill. New York: Free Press. Luborsky, L., Rosenthal, R., Diguer, L., Andrusyna, T. P., Berman, J. S., Levitt, J. T., . 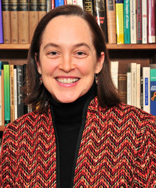 . . Krause, E. D. (2002). The dodo bird verdict is alive and well—mostly. Clinical Psychology: Science and Practice, 9, 2–12. Messer, S. B., & Wampold, B. E. (2002). Let’s face facts: Common factors are more potent than specific therapy ingredients. Clinical Psychology: Science and Practice, 9(1), 21–25. Micale, M. S. (1985). The Salpêtrière in the age of Charcot: An institutional perspective on medical history in the late nineteenth century. Journal of Contemporary History, 20, 703–731. Restak, R. (2000). Mysteries of the mind. Washington, DC: National Geographic Society. Schoeneman, T. J. (1977). The role of mental illness in the European witch hunts of the sixteenth and seventeenth centuries: An assessment. Journal of the History of the Behavioral Sciences, 13(4), 337–351. Tseng, W. (1973). The development of psychiatric concepts in traditional Chinese medicine. Archives of General Psychiatry, 29, 569–575. Viney, W., & Zorich, S. (1982). Contributions to the history of psychology: XXIX. 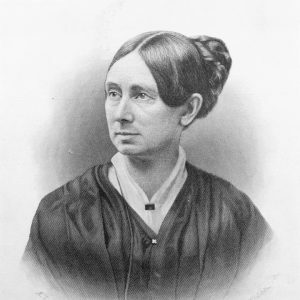 Dorothea Dix and the history of psychology. Psychological Reports, 50, 211–218. Zilboorg, G., & Henry, G. W. (1941). A history of medical psychology. New York: W. W. Norton. Originally published by Noba (Diener Education Fund) under the terms of a Creative Commons Attribution-NonCommercial-ShareAlike 4.0 International license. This entry was posted in History, Medicine, Mental Illness. Bookmark the permalink.